As a career changer, you might meet challenges along your journey, at times feel like giving up and returning to your ‘comfort zone’. To reassure you, and from our experience, students do succeed and overcome these hurdles. Perseverance pays off – it might not happen overnight so keep yourself motivated. Recognise and celebrate small achievements, take a gradual approach, and set goals throughout. Career changers are not at a disadvantage as such; career paths are more fluid nowadays, though you’ll need to invest more effort in developing your narrative, know the competitive landscape, meet people in the sector you’re pursuing, and identify any gaps you may need to address. It’s crucial you develop the right mind-set from the beginning. Believe that it really can happen, that you can re-define yourself, and then begin to pursue it. How would you describe this peak moment in detail? Were there others around? Who was there? Why was the moment so meaningful? What values can you recognised in this particular moment? 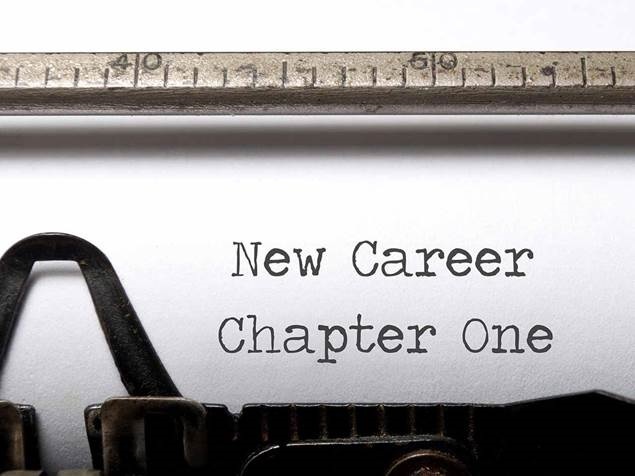 Career change is a personal journey, there’s not one magic route to success; people travel their own path and reach the same destination in many different ways. Make the best of what you have, see the value in every situation and take some learning from each experience. Sometimes it’s easier to express what you don’t want to do, so experiment and try different things – but always reflect and see what resonated with you most. Which books, magazines, podcasts and websites are you most drawn to? What really sparks your curiosity? What really engages you so much that you get lost in time? How would you spend your time if you had complete financial abundance to do anything? What were the most enjoyable parts of your previous experiences and why? Designing a new personal brand, positioning and communicating it, is essential when exploring what the sector expects from a successful candidate. You have to convince yourself before you can convince others so create your persuasive narrative, articulate it and relentlessly practise until you believe in your new identity. Once you feel confident with this new identity, you will need to test its rationale and convince others, explaining why you want to make the move, why you are leaving your previous career, and which skills would add value to their environment. Even though you were doing something different, you can still demonstrate the transferable skills and relationship to them. It’s important you fully understand your drivers behind choosing this new career path and the organisation you’re meeting with. You may receive feedback along your journey so keep polishing your narrative along the way. Networking is very powerful for career changers, and alumni emphasised this throughout the panel. Whilst networking is important for everyone, it’s especially important if you have any gaps in your experience. Meeting people is your opportunity to learn more about the sector and organisation, practice your narrative, and get some advice from someone with a similar background. It’s also your chance to demonstrate your motivation for the career transition and how what you’ve achieved previously can benefit the organisation. Be prepared – these are not just informal chats they are informational interviews, so it’s an opportunity to impress and have well thought out questions. Keep in contact with key people you meet and make notes of any key topics discussed. These new relationships are vital, they could become your internal advocate. You can also view our LinkedIn tips for career changers to support your research and identification of new contacts. It’s regularly recognised that happenstance, ie. being in the right place at right time, plays a role in career opportunities and decisions. Remain open to the unplanned or unexpected, be ready to take advantage when opportunities arrive. The panellists also emphasised making your own luck: be prepared, know what you want or need to become so you are ready when choices present themselves, while embracing the luck. We’re here to help – even if you’re not sure what career you want to go into! Book a one-to-one appointment with one of our careers consultants to get started. If you’re not in London, contact us to book a Skype or telephone appointment. Bad Behavior has blocked 408 access attempts in the last 7 days.